A few weeks ago my husband and I had a date night and chose to dine at a Peruvian restaurant near us. We had been there before when they first opened and were excited to try more things off the menu. 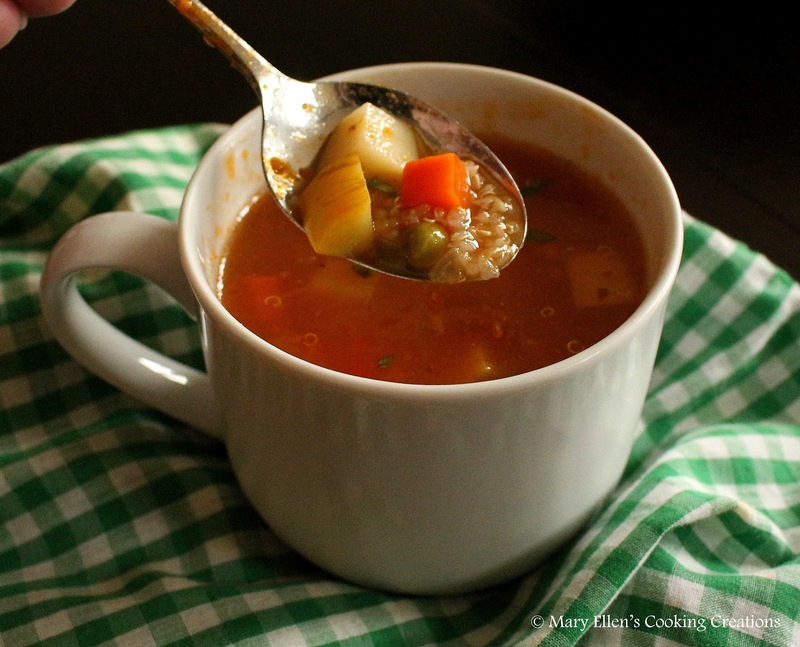 My husband chose ceviche for his app, and I went with a Peruvian Vegetable and Quinoa Soup. After my first bite I knew I would be ordering this soup every time we go back. I also knew that I was going to need to recreate it at home. 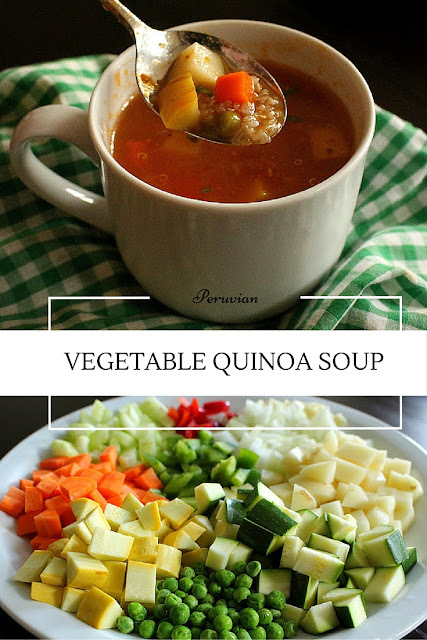 The next week I googled Peruvian soup recipes and while they all consistently had lots of vegetables and quinoa, I couldn't find any consistency in regards to seasoning and spices. So instead, I thought back to the soup I had at the restaurant - it was very simple, clean, and fresh. I decided to keep mine very simple with just a pinch of oregano and cumin as seasoning and guess what? It worked perfectly. I love the simplicity of this soup, both in preparation and flavor. 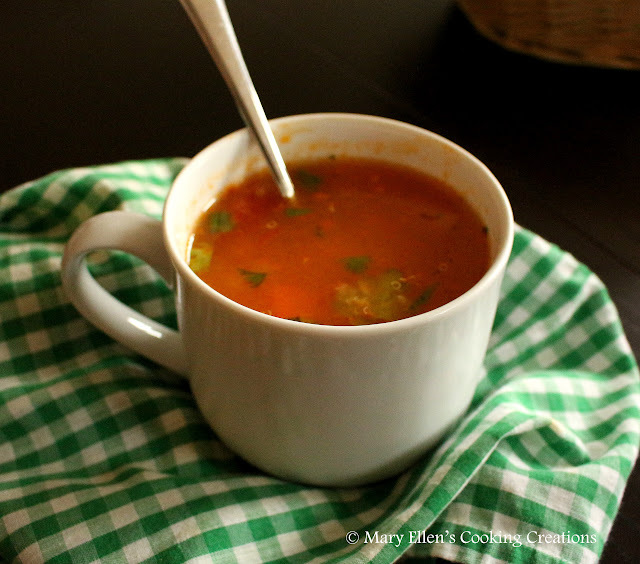 And although it is a pretty light and healthy soup, it is definitely hearty enough to enjoy on its own. I ate it for lunch every day for 4 days in a row, and was disappointed when it was gone. 1/2 each of these veggies, chopped into the same sized pieces:russet potato, red pepper, green pepper, zucchini, yellow squash, carrot, celery. 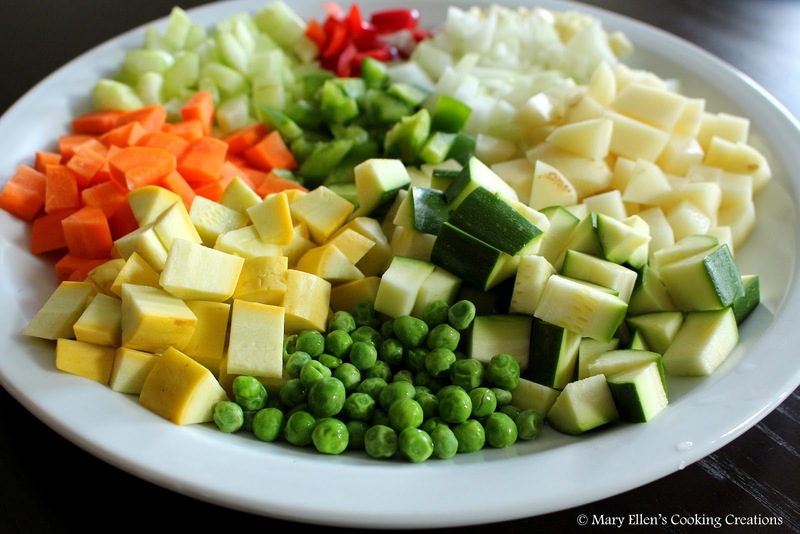 Add all of the vegetables except the peas; saute 2 minutes. Add the peas and tomatoes; stir to combine. Add the broth, quinoa, cumin, and oregano. Bring to a simmer and then cover, simmering for 20 minutes until the quinoa and potatoes are cooked through. This looks so simple and delish! Can't wait to try it!